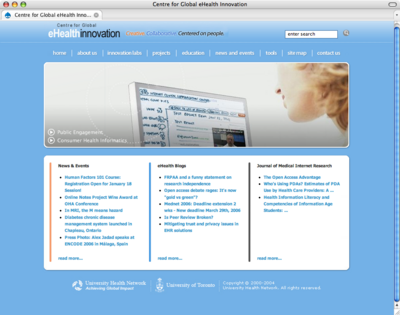 Centre for Global eHealth Innovation - complete web site design, including user and project management, end user page editing. 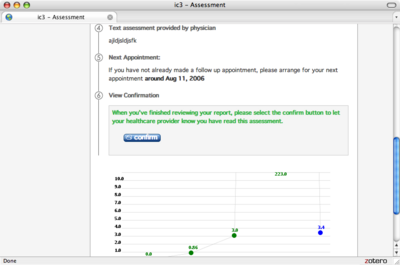 Internet Clinical Communication Centre - patient reviews a lab result interpretation. 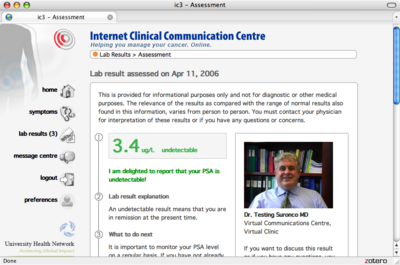 Internet Clinical Communication Centre - more of the lab result interpretation. 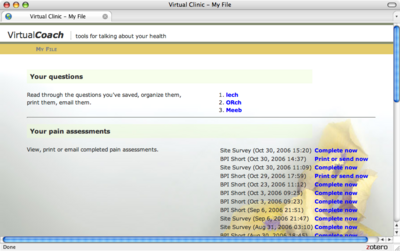 Virtual Coach - viewing personal resources. 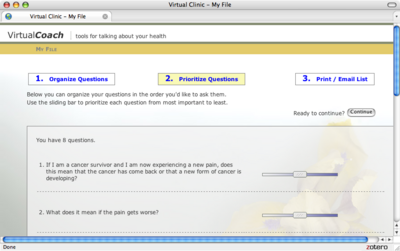 Virtual Coach - viewing a pain assessment. Virtual Coach - organizing personal resources. 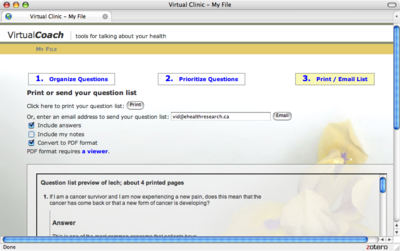 Virtual Coach - print or email personal resources. 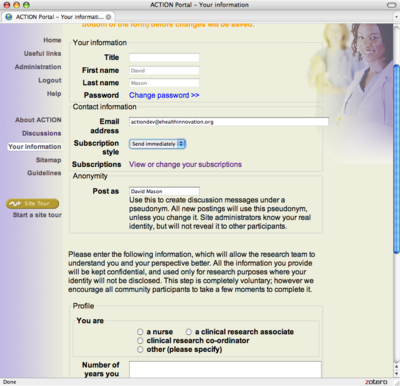 ACTION Clinical Trials communication platform - setting individual preferences and profile. 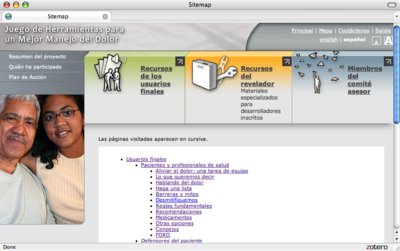 Pain Management Toolkit - sitemap (in Spanish).